The Final of the world youth championship took off in style with Killian taking out a 156 checkout in the first leg of the match. 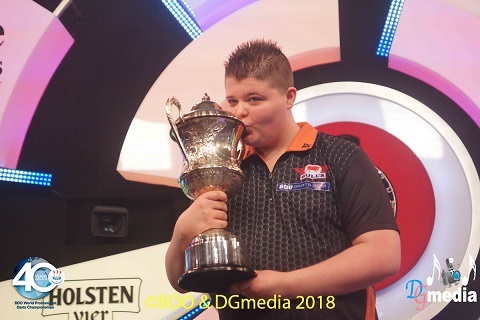 Dutch sharp-shooter Justin van Tergouw had a 170 check out on his way to retaining the BDO World Youth Championship. The maximum check out came in the opening set against Killian Heffernan. Heffernan shrugged that off to go 1-0 up in sets, but after that, van Tergouw was unstoppable. The Dutch teenager won the next nine legs and finished the match with an average of 93.04 and a 3-1 scoreline. 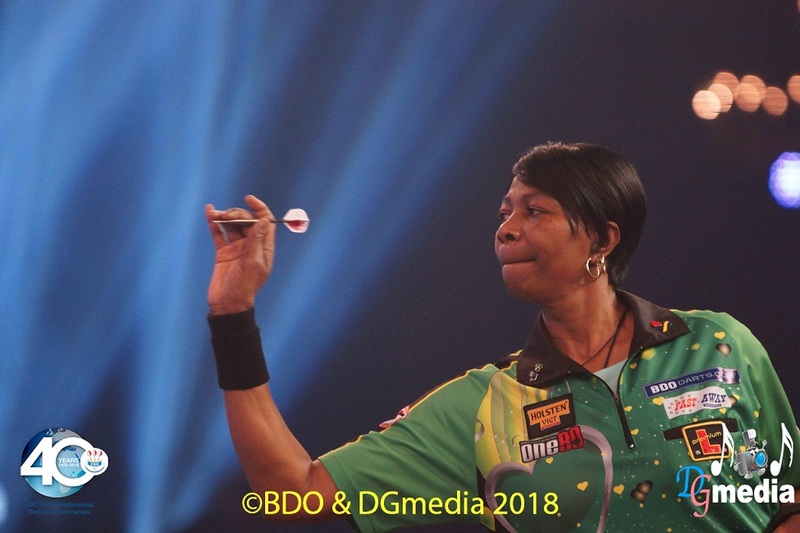 World No 1 Deta Hedman produced a stunning finish to her quarter final against Sharon Prins. She wrapped up the match with an 84 check out on the bulls eye. That completed a 2-0 win for Hedman. Both sets went to a deciding leg. 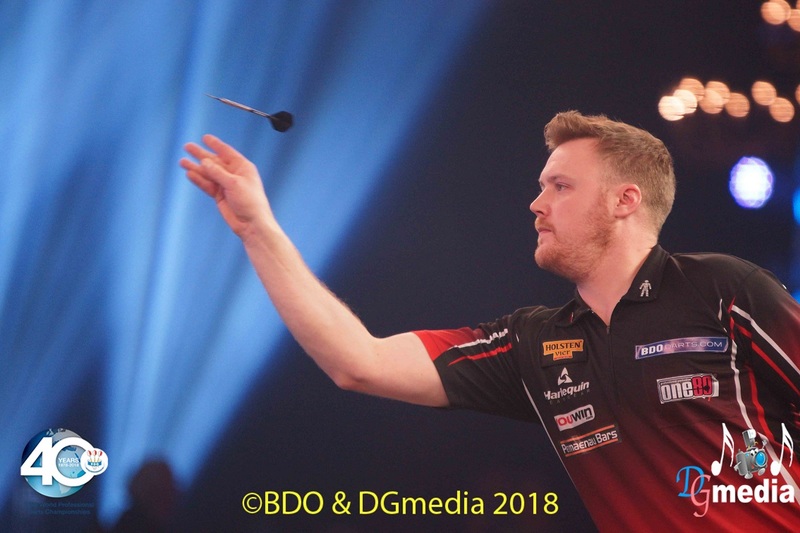 No 9 seed Jim Williams is through to the last eight after surviving three match darts against Conan Whitehead in a thrilling, see-saw second-round shoot-out. The match went all the way to a deciding seventh set and Whitehead was only 57 points away from victory when Williams took aim at a 161 check out in the third leg. Williams pulled off his great escape with treble 20, treble 17 and the bulls eye. Whitehead fashioned three match-winning chances in the next leg, but missed and then cracked in the fifth after Williams piled the pressure on his throw with a superb 174. Williams tidied up for a break and then held for the match. 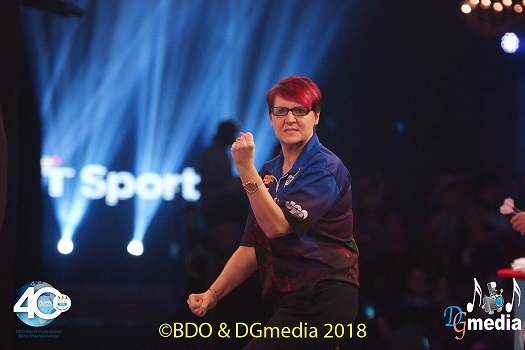 Trina Gulliver turned the tables on Aileen de Graaf to reach the semi finals. De Graaf came out on top when they clashed at the same stage last year, but this time, Gulliver was dominant. De Graaf never really settled into the match and only won one leg as Gulliver stayed on course for a possible 11th Women's World Championship. Defending Women's champion Lisa Ashton shook off the challenge of Fallon Sherrock to reach the last four. Ashton won in straight sets after Sherrock missed a clutch of chances to force a deciding third set. Ashton won the opening set against the darts after breaking with a spectacular 83 check out in the third leg and came from 2-0 down to win the second. Ashton says she has to "raise my game" against Deta Hedman in the semi finals. 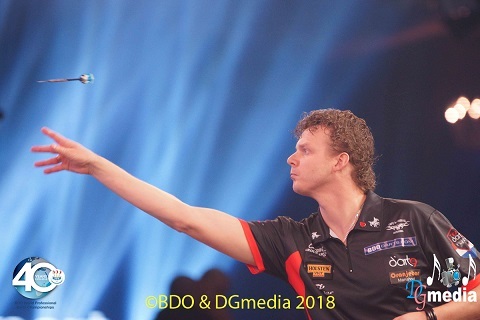 World No 82 Michael Unterbuchner wrote another chapter in his Lakeside fairytale with a 4-2 win over Martin Phillips that takes him through to the quarter finals. The German opened up a 2-0 lead, Phillips fought back to level and with the match in the balance, Phillips started missing. Unterbuchner capitalised on the Welsh veteran spurning chances to win the first and third legs to take control of the set and go 3-2 ahead. 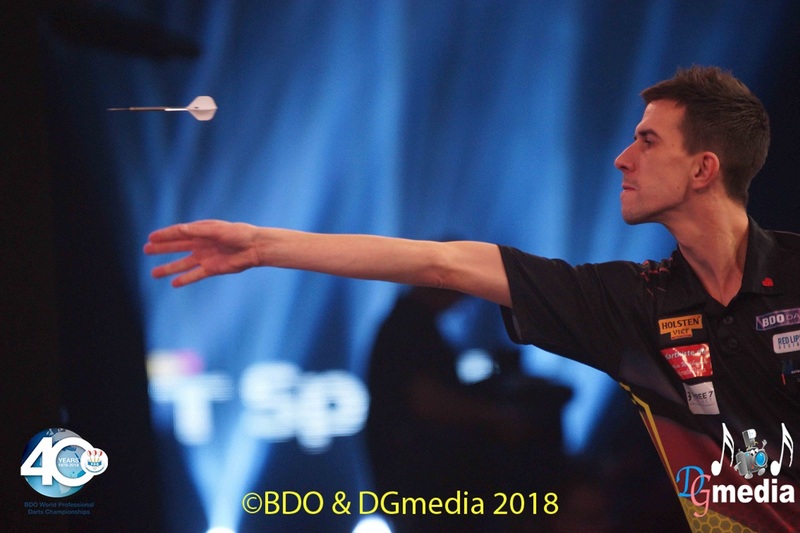 Unterbuchner took out 102 for a hold in the opening leg of the sixth set and denied Phillips the chance to get the break he needed. Anastasia Dobromyslova produced the best performance of the BDO Women's World Championship to see off Lorraine Winstanley. Dobromylslova recorded an 85.08 average against the Women's No 3 seed. Dobromyslova, who won the last of her three world titles in 2013, has reached the last four without dropping a leg and meets Trina Gulliver in the semi finals. Richard Veenstra completely outplayed Geert de Vos, dropping just three legs in a straight-sets win. De Vos was out of sorts, way too many of his darts drifted into the one, but that should not take away from Veenstra's performance. The lofty Dutchman threw brilliantly. He had seven maximum 180s and finished the match with a three-dart average of 90.85.